Provide your guests with sun shades to keep the sun from hurting their eyes during your ceremony. 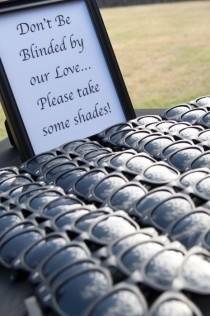 Place them in a basket with a sign that says, “Please don’t be blinded by our love…take some shades! 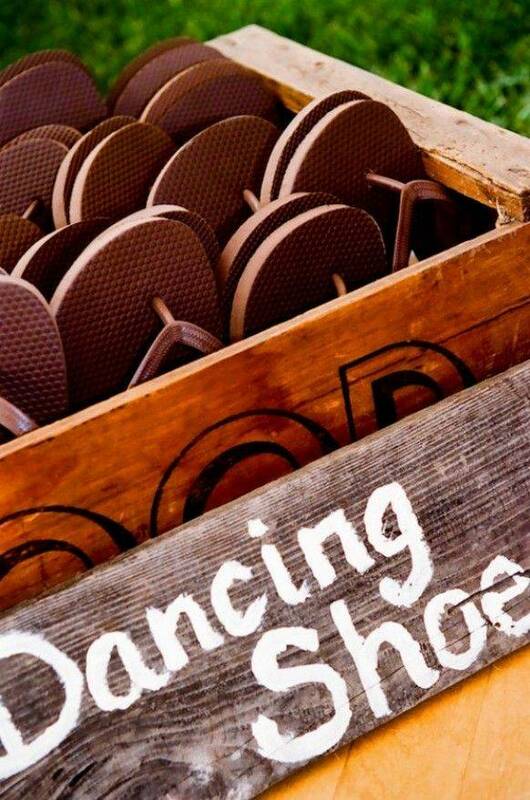 If you have an outdoor dance floor constructed, fill a basket with inexpensive flip-flops so guests can switch to those before dancing. Purchase inexpensive garden plant holders and use them to display vases full of flowers or for a nighttime wedding or reception, hang your candleholders on them. 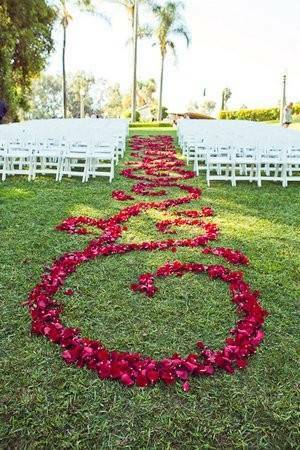 Use real or artificial flower petals to create beautiful aisle art. This will be the path the bride takes to her groom, so it should be very special! Rather than purchasing tons of flowers, purchase a few large, statement-style flower arrangements. 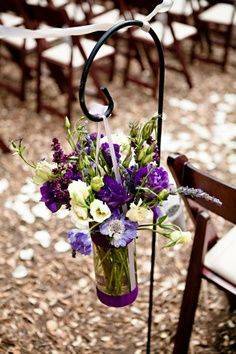 This is great for an outdoor wedding and is less expensive. 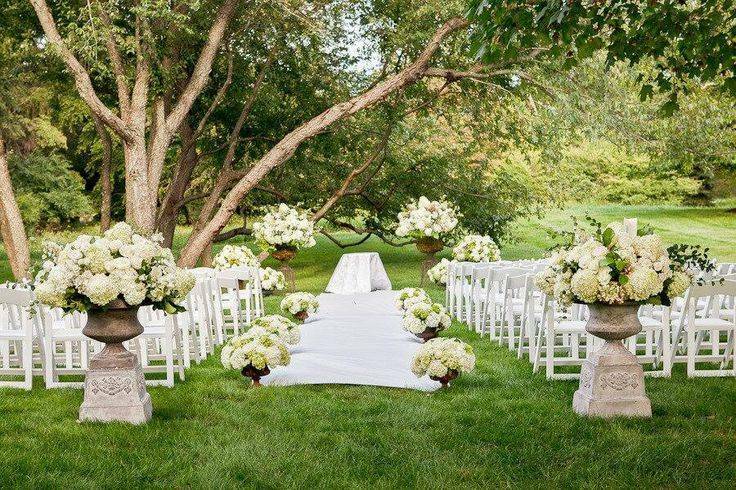 These are just a few of the things you can do with an outdoor wedding to make it truly fabulous.